The mobile market is growing at a very faster rate in India. There are a number of mobile manufacturers that are targeting the Indian market. Thus the tough competition has forced the mobile manufacturing company to launch good featured mobiles in a very affordable price. One of the good mobile manufacturing companies is Lava which has been launching good quality of mobile phones recently. The Lava Company has launched its new model and that is Lava B8. The model is already launched in India. There are a number of good features in the phone. 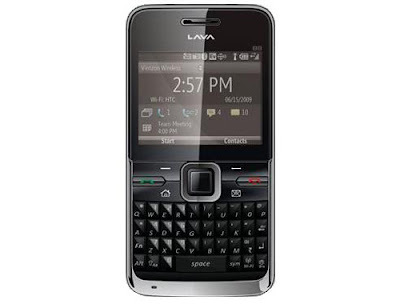 The Lava B8 features are very attracting and thus people are getting attracted towards it. The features of the phone are eye catching. The main fact about the phonies that, the phone is ideal for the people who wants to use business phone in a very affordable price. This phone is very good for the people who constantly want to check their Emails wants to connect to the internet. This handset is a value for money. The looks and the design of the mobile phone is average. If a person wants to enjoy all the features without spending more, then this handset is for that person. The main feature is the Trackpad which is the most important thing as it is used for easy navigation. The Lava B8 specifications are very clear. The mobile phone is business purpose mobile phone with 2.3” TFT screen which provides good picture quality. The mobile has a dual SIM facility. The handset is provided with QWERTY keypad facility. The mobile is also having the feature of Wi-Fi facility. The phone is already enabled with social networking applications. The memory of the phone can be easily upgraded up to 16GB. Push Email facility is also there. The mobile is having a 3.2 MP camera with flash facility. The battery of the phone is of 1400 mAh. The phone is equipped with FM radio with recording facility. Java is already enabled in the handset. The mobile is also having 3.5 mm audio jack. Bluetooth facility is also enabled in the mobile phone. Opera mini browser is enabled in the mobile phone and now it is very easy to search for your favorite content. The phonies also enabled with EDGE/GPRS/WAP 2.0 facility. 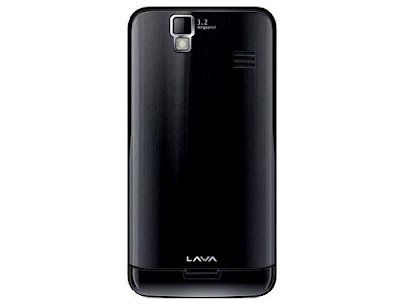 The Lava B8 price in India is around Rs. 3, 999. The mobile is getting good response from the Indian market. The Lava B8 features are very attracting and thus we are getting attracted towards it.